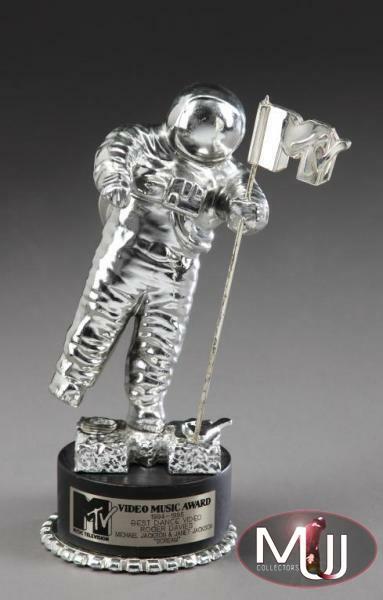 Silver MTV Moonman award on round metal base with plaque reading in full, "Video Music Award 1994-1995 Best Dance Video Roger Davies Michael Jackson & Janet Jackson 'Scream'." Sold by Julien's Auctions (Lot #426) for $43,750 at their 2010 Music Icons auction. All screen captures are the property of their respective owners.